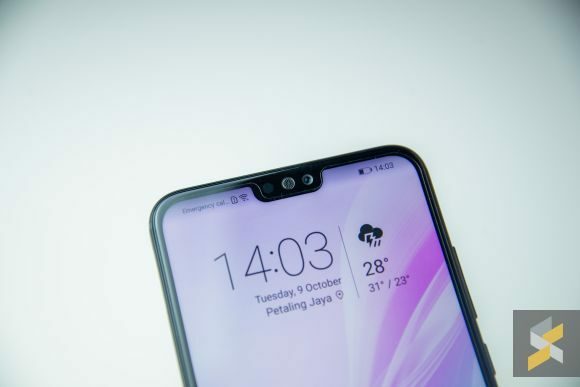 This post is brought to you by honor Malaysia. Smartphones have become a crucial part of our daily lives, which means it is important to invest your money in a good device. But that doesn’t mean you have to spend a lot, as the honor 8X is here to prove. At first glance, the honor 8X is a stunning looking device. It uses a metal frame and features a 2.5D textured aurora glass with something honor calls a grating effect. That means, a quarter side of the back panel has a matte stripe, which gives it a nice two-tone look. Besides that, the glass back also sports a fingerprint scanner in the middle along with the vertically aligned dual camera at the top left. Overall, the 8X is a simple yet elegant looking smartphone. The honor 8X comes with a massive 6.5-inch notched FullView Display 2.0 and a whopping 91% screen-to-body ratio. 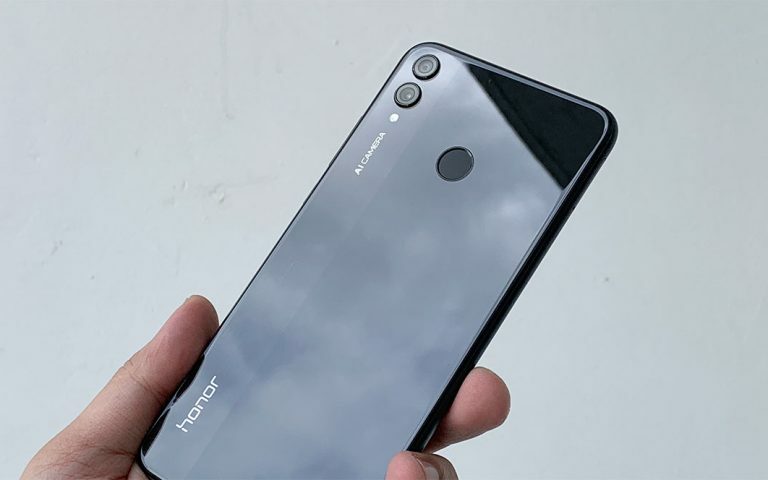 Using advanced chip-on-film (COF) technology and a patented antenna design, honor has managed to keep the width of the bottom border to just 4.25mm. Also, if you do not like the appearance of the notch at the top, you can always turn it off. 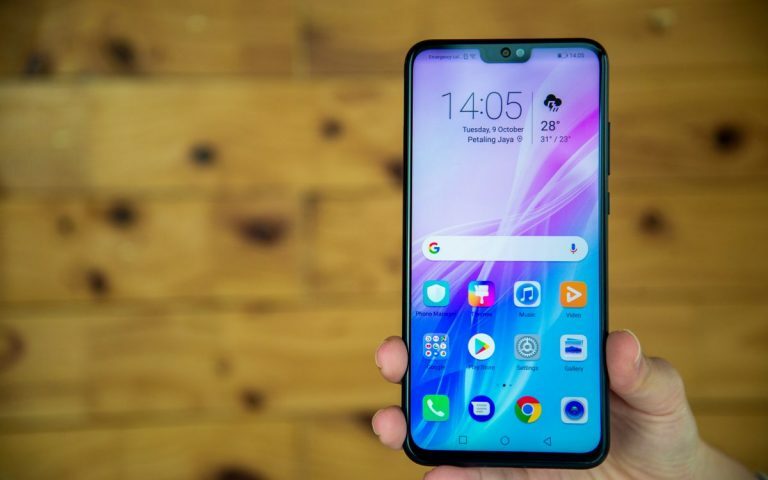 Other than that, Honor 8X features a 19.5:9 screen with a Full HD+ resolution that is designed to give you the best viewing experience possible. That means that whether you are playing games or watching videos, you are almost guaranteed an excellent time. 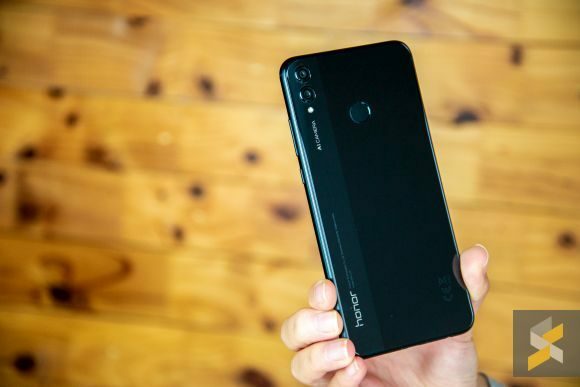 Even though this honor 8X carries an affordable price tag, it still packs a punch. Under the hood, the honor 8X features the new Kirin 710 octa-core processor, which is the first time this has been included in an honor device. The presence of the new powerful processor promises a smooth and reliable performance on the honor 8X no matter the task. Besides that, the processor is mated to 4GB of RAM and a generous 128GB of internal storage. 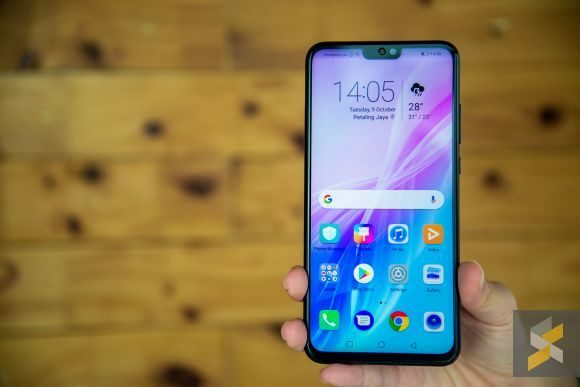 If that’s not sufficient, you can always expand the honor 8X’s storage via a microSD card, . The best part? honor 8X uses triple slot tray so you don’t have to sacrifice a SIM card if you want more storage. When it comes to gaming, the 8X is no slouch either. The device comes with the company’s signature GPU Turbo technology which is designed to give you maximum performance in-game. 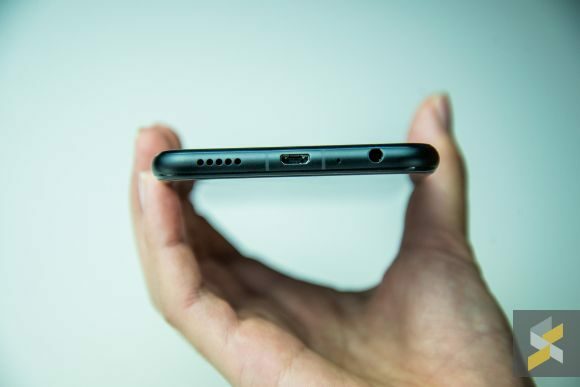 On top of that, the device has a large 3,750 mAh battery for longer and more epic gaming sessions. Blue-light emitted from screens on devices such as laptops and smartphones often increase eye fatigue, and if stared at for prolonged periods of time, could also damage your eyes. That’s why the honor 8X has a special mode built into the phone to help combat this. 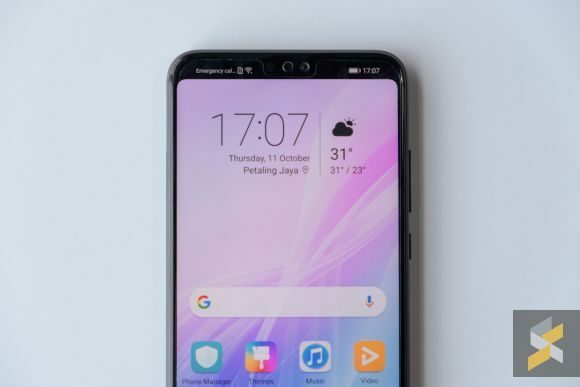 The handset features a new generation eye comfort — certified by TUV Rheinland — that reduces blue-light radiation emitted by the screen to prevent eye fatigue. 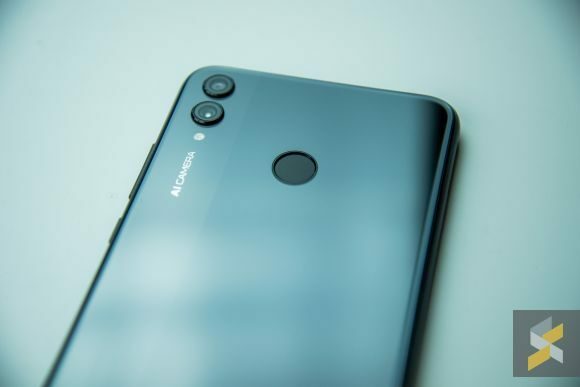 In terms of photography, the honor 8X sports a dual AI rear camera setup that comprises a 20MP main sensor and a 2MP secondary sensor for depth-of-field effects. The AI camera is also able to recognize over 500 scenarios in 22 categories and offers you the best shooting mode once it has analysed a scene. 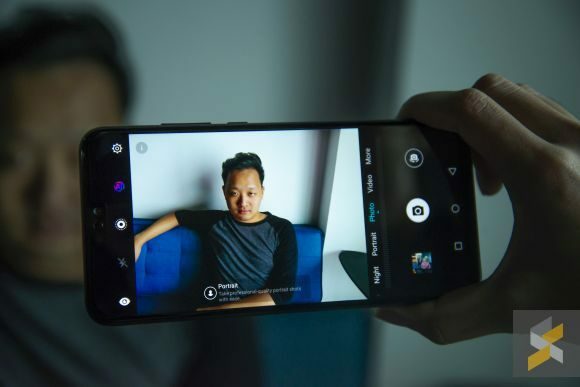 What’s interesting is that the device also uses AI to produce excellent night shots without a tripod, all thanks to its multi-frame image stabilisation technology, similar to the ones you’d find on the world’s best smartphone cameras. Even if your hands are shaky, the technology is capable of analyzing the camera movement, and it intelligently selects and combines several different frames to help give you the most blur-free photo possible. 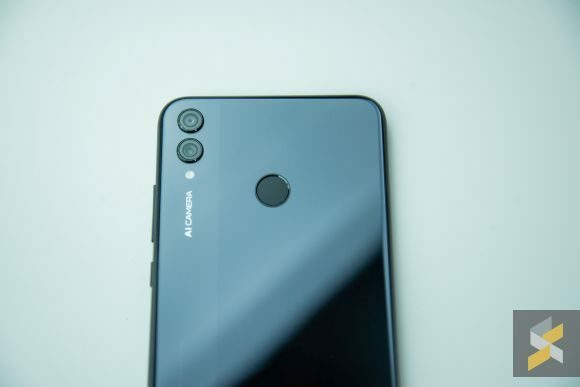 In front, the 8X has a 16MP AI-enabled selfie shooter with HDR features, which allows you to capture clear selfies even in a dim environment or in a scene with strong backlight. As a whole, the honor 8X is definitely a capable smartphone. You get a large, gorgeous 6.5-inch display, a premium glass and metal build, coupled with great specs and a variety of intelligent features. But, the best part is that you can have all of this for just RM949, making this a killer smartphone for the money. If you’re interested, first sales will start tomorrow (12th October) on hihonor.com and Shopee. Early birds will walk away with a free flip cover, RM100 voucher, a gift box as well as an honor band 3 worth RM119. It will also be available in stores starting the 13th October at MyTown Cheras, Klang Parada Selangor, Prangin Mall Penang, Sutera Mall Johor and they are offering similar free gifts with an extra backpack (worth over RM500 in total). 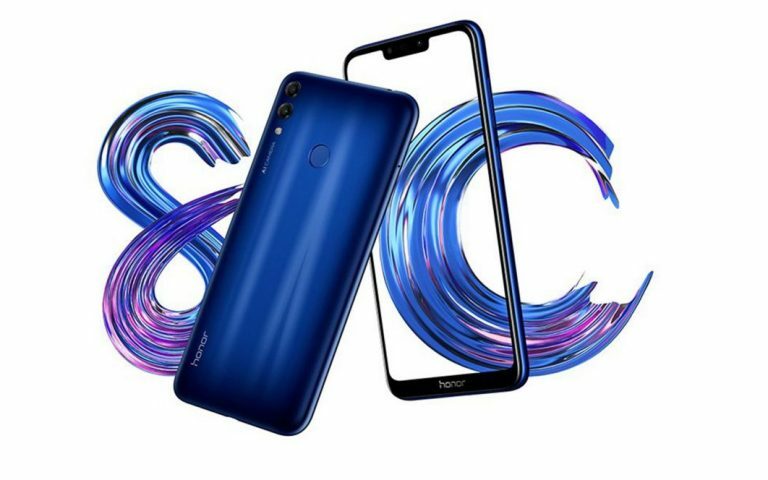 MyTown roadshow-goers can stand a chance to win a FREE honor 8X by participating in a stamp card collection challenge, where those who are keen need only drop by the roadshow booths to experience each activity. A FREE honor band 3 is also up for grabs for those who register as a hihonor and honor fan club user during the roadshow.